Create Integrative, Long-term Lifestyle Changes. Restorative Yoga & Tai Chi for Physical and Mental Well-being. Tap into Nature's Apothecary for Healing Insight & Out. Transitioning? 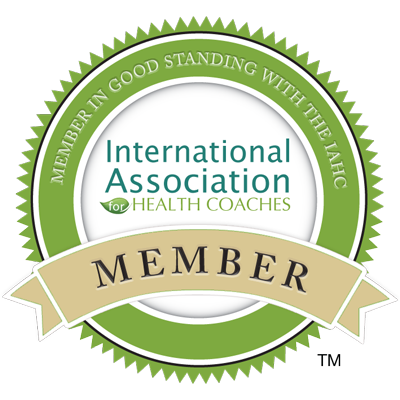 Receive Encouragement and Guidance for Health, Success & Resiliency. Start to See the Beauty of Life - YOUR Life. Alexandra published her first book “Healing the Military Soul – How Warriors Can Regain Strength from Within” in Fall of 2014. 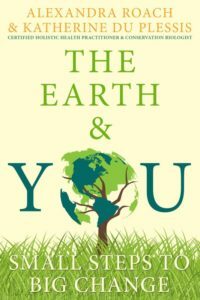 Currently, she extends her passion to our environment and teams up with conservation-biologist, Katherine du Plessis, for her new book-project “The Earth & You.” Please check out the page “Steps 2 Change” for additional information. Alexandra improved her own family’s lifestyle many years ago. What seemed overwhelming at first became easy to master in the end. That is the message she wants to spread. Change can be small, simple & fun, and nevertheless lead to tremendous long-lasting, positive effects on ourselves, our community, and our planet Earth. 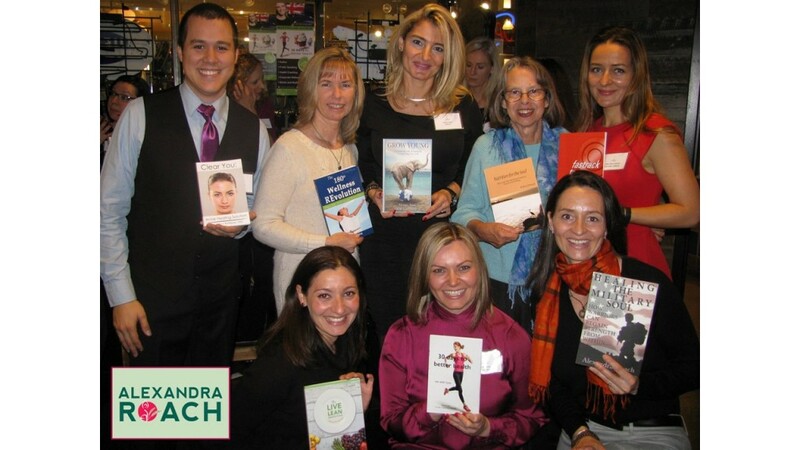 Alexandra’s creative coaching techniques let individuals and groups break free from old habits, so that everyone who finds challenge in change (may it be after relocation, transitioning from active-duty to veteran status, a job-switch, a new position in your organization, etc.) can experience renewed passion and life-purpose. Her clients built resiliency, strengthen their character-skills, and increase their personal and professional success-rate. Alexandra at a book-launch party with other authors in New York City (2014). 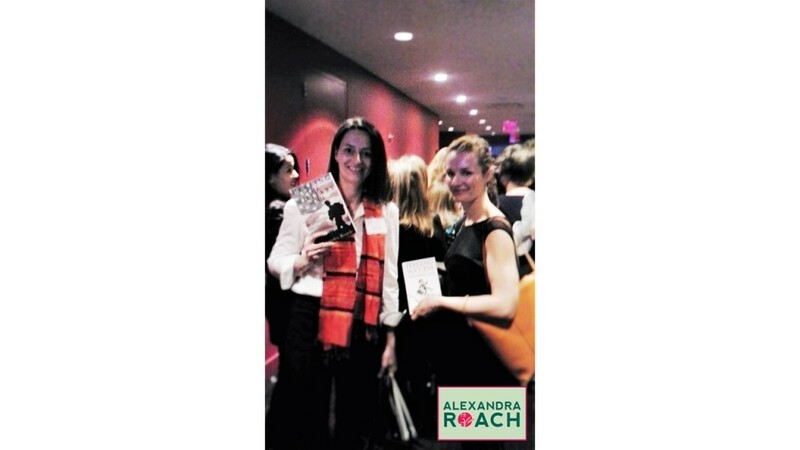 Alexandra with friend and fellow author/health coach Emmanuelle Galland before presenting their books at the IIN Conference in NYC. 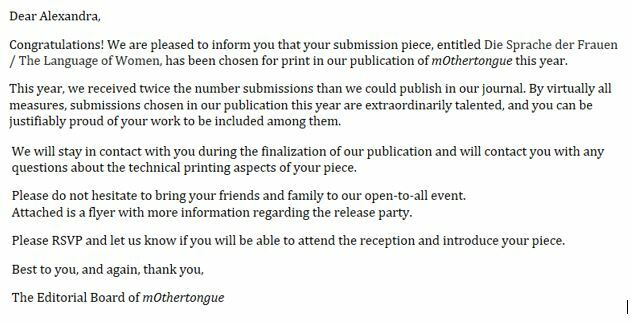 Alexandra’s work for women was published in April 2017 in the Journal mOthertongue at the University of Massachusetts in English, as well as her native language German. We are currently battling a global health crisis. Our pill-for-an-ill medical model is not well equipped to confront it. Illness and disease reign in all social stratums, including the military community. Solutions are few, if at all available. So what should we do? 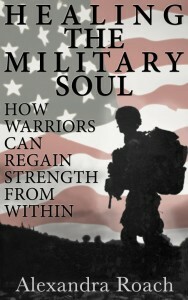 Healing the Military Soul – How Warriors Can Regain Strength from Within targets the suffering with the military. Alexandra proposes a solution, which is backed up by a small-scale study she conducted with soldiers at her local Joint Base Elmendorf-Richardson. Her research measured the quality of life for military members before and after a holistic-intervention program. The results are stunning. For instance, one soldier who suffered from severe PTSD after her last deployment was able to increase her social and economic factor by 117%. Testimonials speak for themselves. 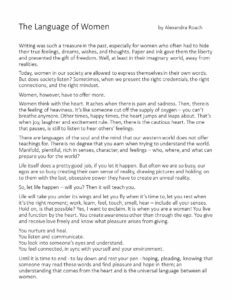 The book launched at a big Holistic Health Conference at the Lincoln Jazz Center in New York on November 8, 2014 and at the Self-Health Book Premiere at Whole Foods Market at the Time Warner Center in New York a day earlier, on November 7, 2014. 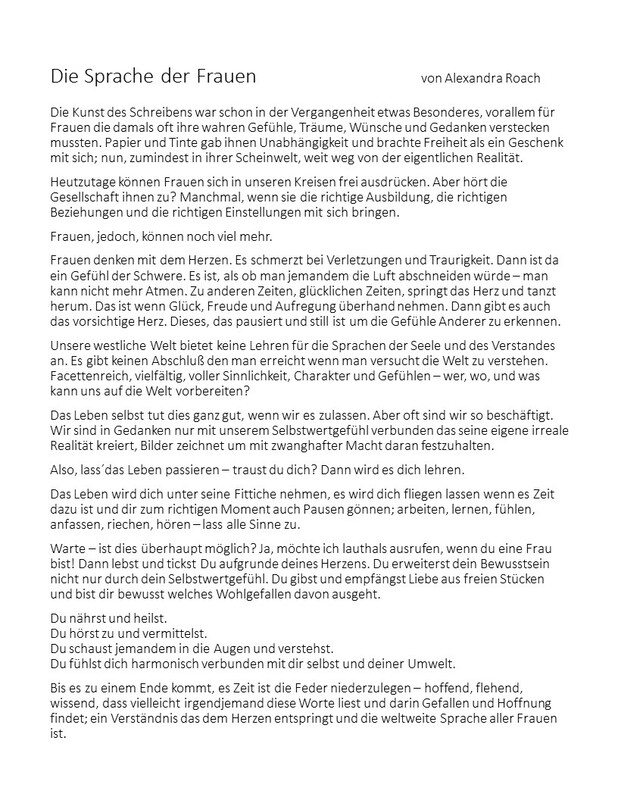 It is for sale on Amazon and Kindle. ‘The Earth & You – Small Steps to Big Change’ is one of Alexandra’s latest projects. This time, she is teaming up with her good friend, Kate, to spread awareness and encourage people to take easy, small steps for the future health & happiness of ourselves and our planet! Katherine du Plessis is a Conservation Biologist and very passionate about the protection of our environment. She sees nature as a treasured resource, which needs protection from our own species to ensure valuable living-space for our future. Her fields of expertise include: Environmental Biology, Biodiversity, Ecosystem Functioning, Marine Ecology, Water Quality, Ecological Monitoring, and Natural Resource Management. Alexandra is a Board Certified Holistic Health Practitioner and works with individuals who want to change to a sustainable lifestyle for themselves and their families. Her approach is based on biodiversity. She creates habitual change in her clients through education about nutrition, physical activity, career, relationships and spirituality. 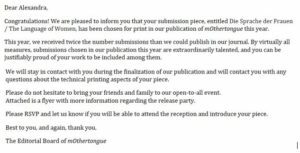 Together, Alexandra and Katherine set out to write a book, which should encourage everyone to create awareness around these subjects. 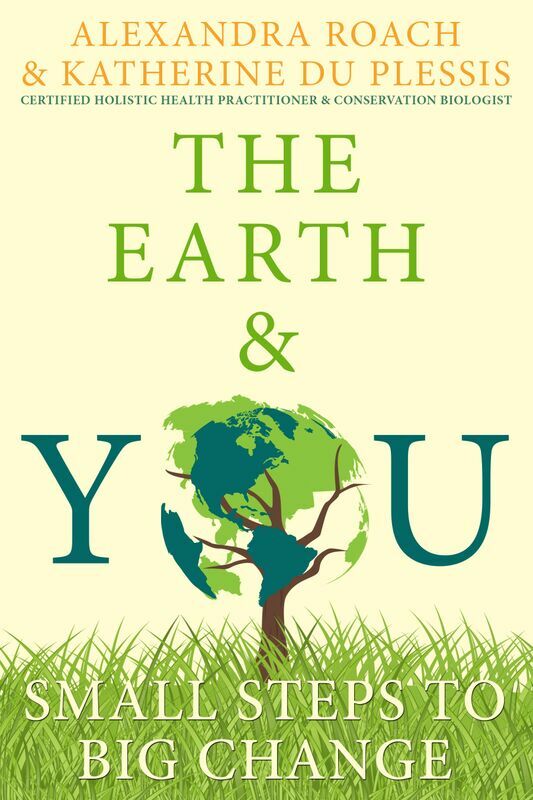 The Earth & You is showing the connection between our health and the health of our planet. It is an awe-inspiring symbiosis (Definition: interaction between two different organisms living in close physical association, typically to the advantage of both). 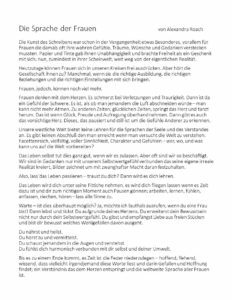 And you can be part of it! Alexandra is the Executive Director for Veteran Education at Energime University. That’s not all. She develops curriculum, teaches, and serves as an ambassador. 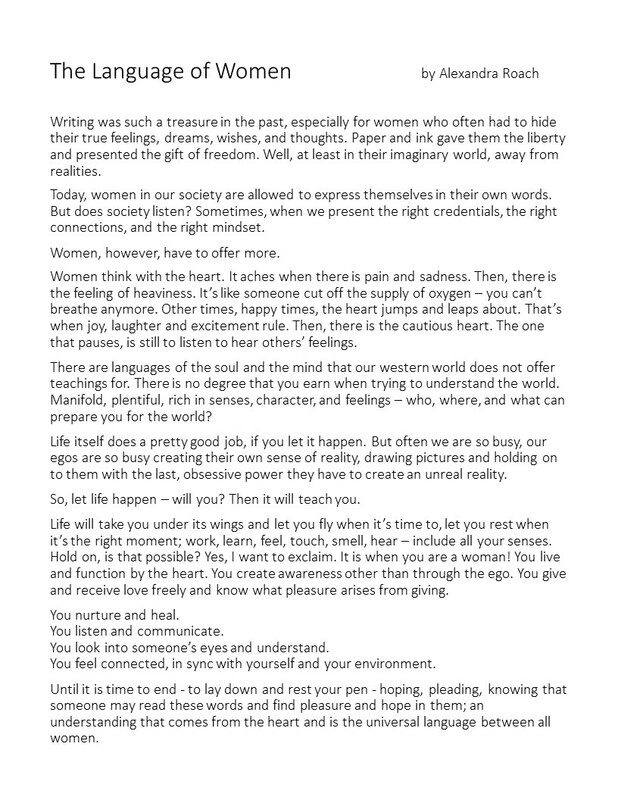 She recently started writing for their Energime’s Ambassador Blog. Think for a moment: “What would happen if we suddenly made specific education and training that supported sustainable economic development and environmental stewardship available to everyone, everywhere? What effect would it have on our ability to re-establish a sustainable balance back to our planet? Energime University has the single mission of providing the means by which we mentor and empower our global population with the critical skills necessary to carry out this monumental effort. By creating a central education platform that connects the world in a unified and structured approach, we can manage our finite resources and protect our fragile environment. Energime University will prepare our future workforce by establishing learning annexes world-wide through a vast inter-connective partnership. This network will be supported by a growing and robust online capability created to foster this global collaborative effort” (Sosinsky, B., 2016).